Close to Washington, DC and Alexandria, this waterfront resort offers hotels, restaurants, shopping and unique attractions. 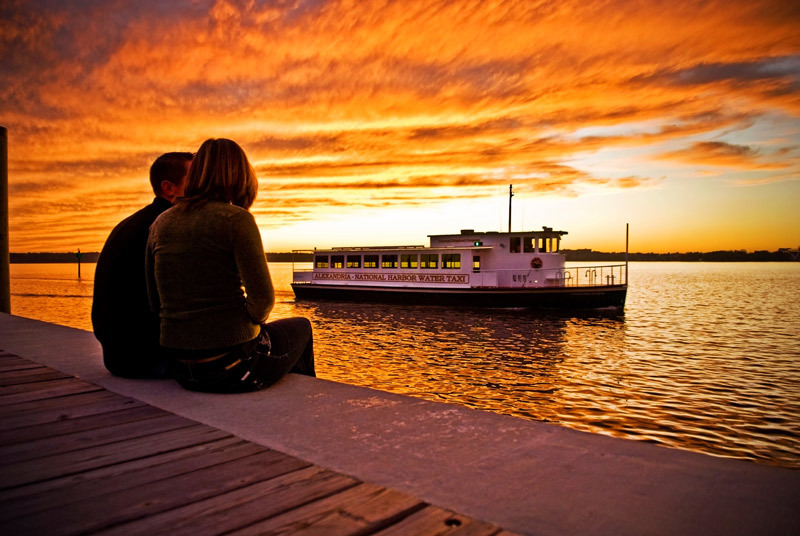 National Harbor is an ideal destination for individuals, couples and families. 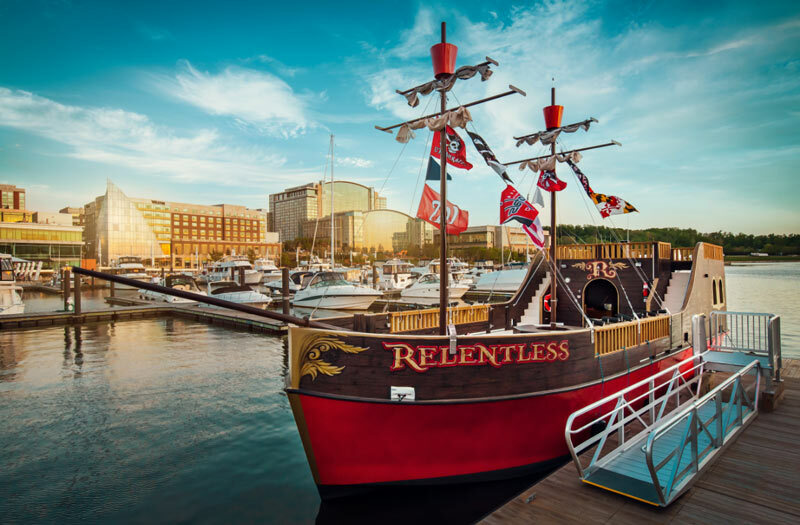 Located along the Potomac River on 350 acres, the waterfront development holds more than 160 shops, 40 restaurants and eight hotels, as well as multiple entertainment venues and options for water-focused adventures. 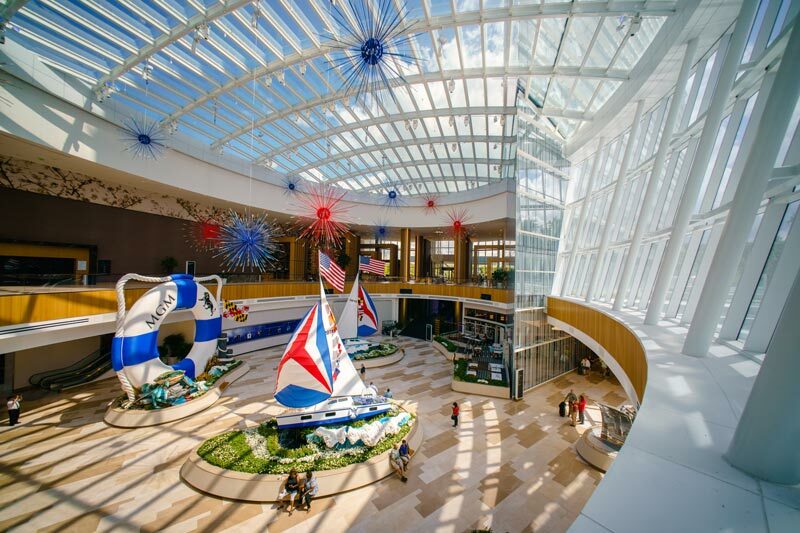 Read on for all that awaits you during a visit to National Harbor. Soar 180 feet in the air on the area’s only observation wheel, which spins right on the waterfront. The Capital Wheel features 42 climate-controlled gondola cars that seat up to eight and circle every day and night of the year, providing stunning views of Alexandria, Va., DC’s monuments and the Potomac River. Sunset rides are particularly scenic. You can also take a spin on the 36-foot, Americana-themed Carousel at National Harbor, featuring a herd of whimsical creatures. 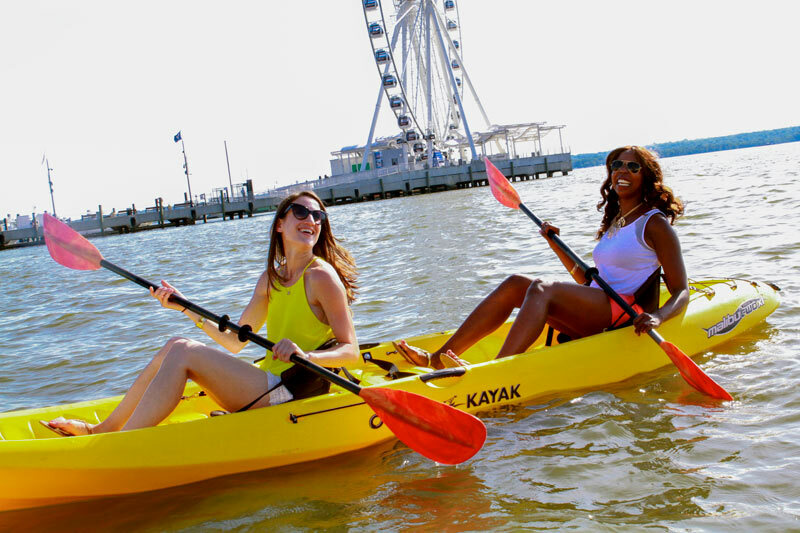 From May through September, head to Boating in DC’s National Harbor location and rent a kayak, pedal boat or stand-up paddle board to enjoy the Potomac River. The company also offers paddleboard lessons and guided kayak trips. Murals, statues and other works of art from renowned local and national artists pepper the landscape at National Harbor. The most notable might be “The Awakening,” J. Seward Johnson’s dramatic metal sculpture of a giant emerging from the ground (it’s great for kids to play on, too). Other highlights include Albert Paley’s pair of 4,500-pound steel eagle statues which perch over the main plaza. There’s also a wall mural, “Maryland’s Bounty.” You can also enjoy an art walk down American Way. 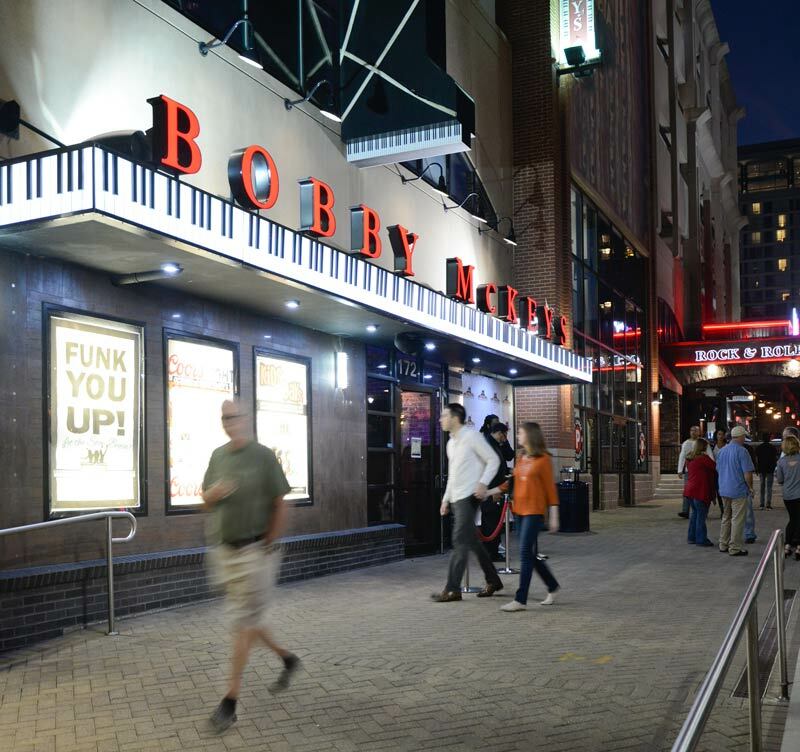 On the wide, walkable streets in the National Harbor Waterfront District, you’ll find more than 65 shops, including boutiques and specialty stores. From the jewelry and collectibles at Fire and Ice to the exclusive collections at Stile for Men and the treasures at designer resale boutique Betty, you have numerous options at National Harbor. Pretty Girl Cupcakery and Savannah’s Candy Kitchen will have you coming back for more. Peeps & Company (one of only two in the country) will also astonish with its multitude of flavors and products. 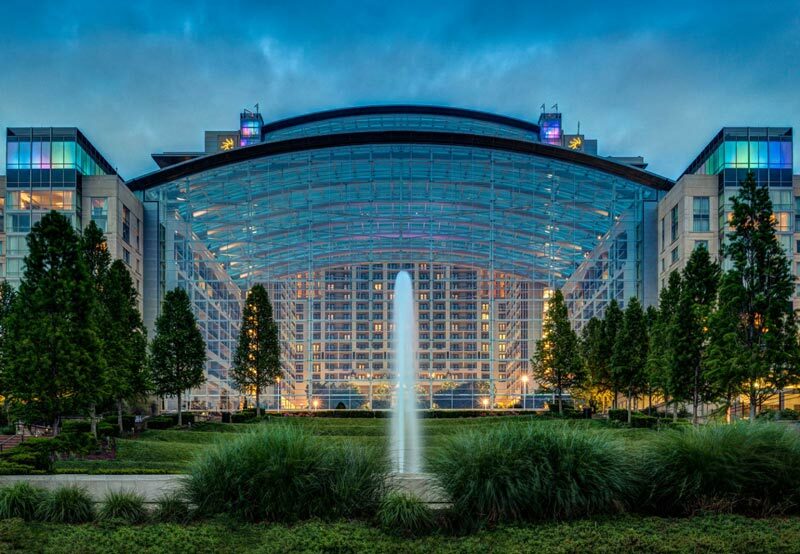 Year-round, Gaylord National Resort provides family entertainment, including a daily, one-of-a-kind Atrium Fountain Show featuring choreographed lights, music and water that shoots 60-feet high in a 19-story garden atrium. Summerfest, the resort’s annual summer celebration, features special events, activities and spa and dining specials from Memorial Day to Labor Day. During the holiday season, the resort transforms into a Christmas wonderland for its signature Christmas on the Potomac celebration. This extravaganza offers a variety of family-friendly activities, including its world-renowned ICE! Attraction, which features more than two million pounds of colorful ice sculptures and two-story ice slides. The MGM National Harbor is a resort with Las Vegas-style on-site gaming, dining and entertainment. 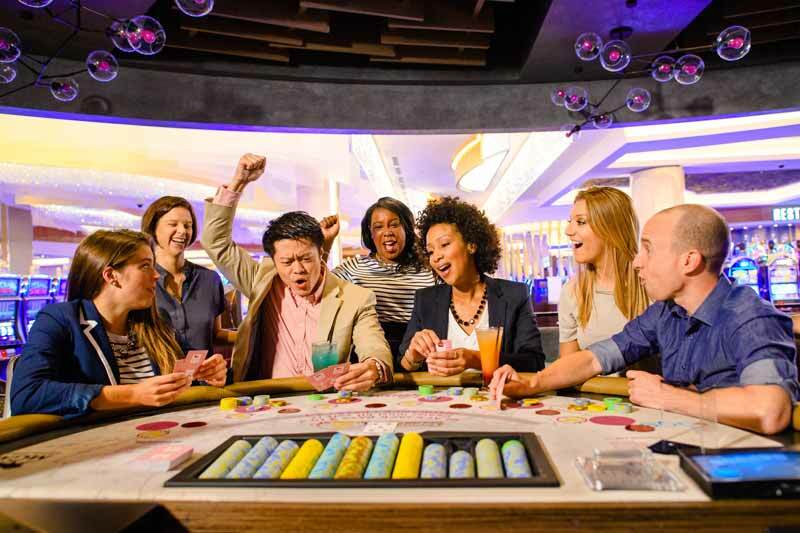 Test your luck at any of the 3,600 slot machines and 140 gaming tables, or catch an A-list performance in the 3,000-seat, state-of-the-art theater. Eateries include the highly acclaimed Fish by José Andrés, and Voltaggio Brothers Steakhouse. You can shop at boutiques as well, including SJP by Sarah Jessica Parker. 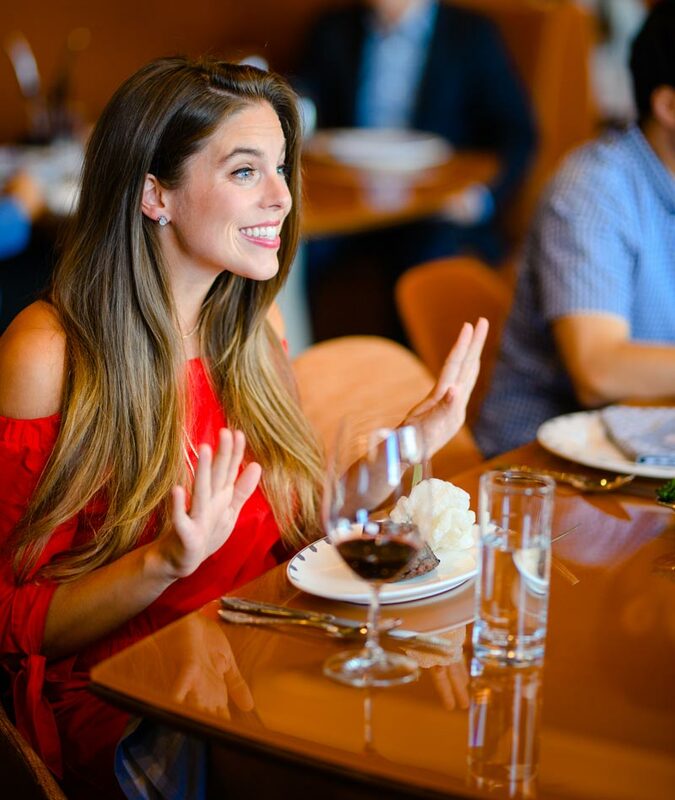 There are more than 40 restaurants at National Harbor, from Edward Lee’s widely acclaimed Succotash to the New York-sleek Bond 45 (the only location outside of Manhattan) to the Pan Asian fusion of Grace’s Mandarin. Enjoy upscale ambiance and fabulous steaks at Old Hickory Steakhouse or indulge in margaritas and authentic Mexican cuisine at Rosa Mexicano. There are also fast casual options, including the award-winning Mason’s Famous Lobster Rolls. Many eateries have outdoor seating, perfect for summertime revelry. 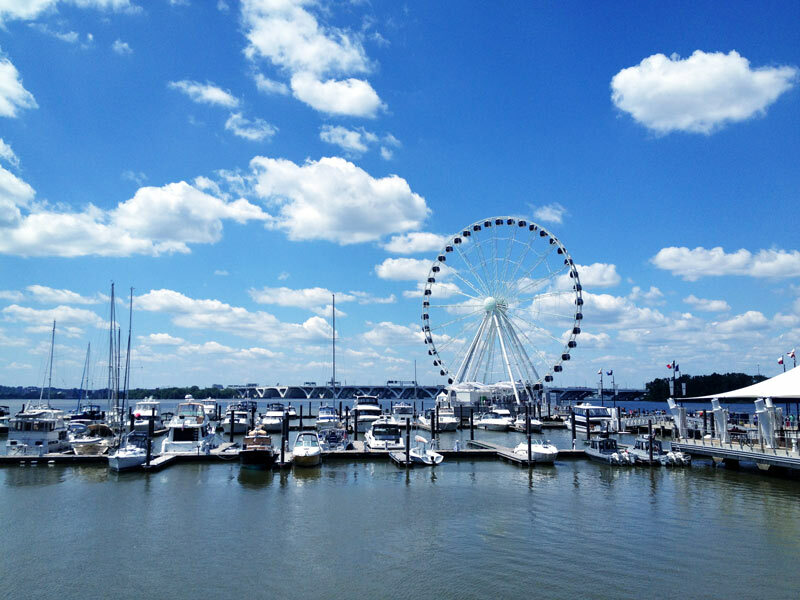 National Harbor has a 62-slip marina managed by the internationally known IGY Marinas featuring mega-yacht berths, floating docks, a state-of-the-art fuel dock, 24-hour security and more. Yacht and boat rentals are also available. If you’d just like to get on the water, there are water taxis available to transport you to Mount Vernon, Old Town Alexandria and The Wharf. 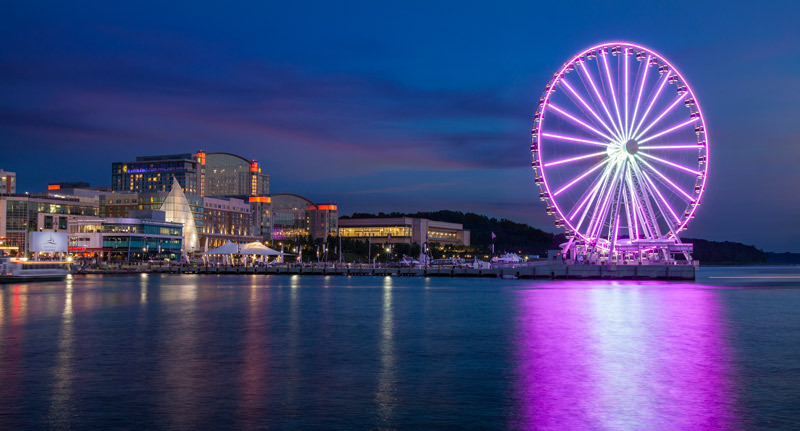 National Harbor is packed with events and activities all year long, including the National Harbor Cherry Blossom Festival and the famous Wine & Food Festival in April, as well as Gaylord National’s Summerfest, Harbor Halloween in October and tree lighting in November. Check out the full events calendar. 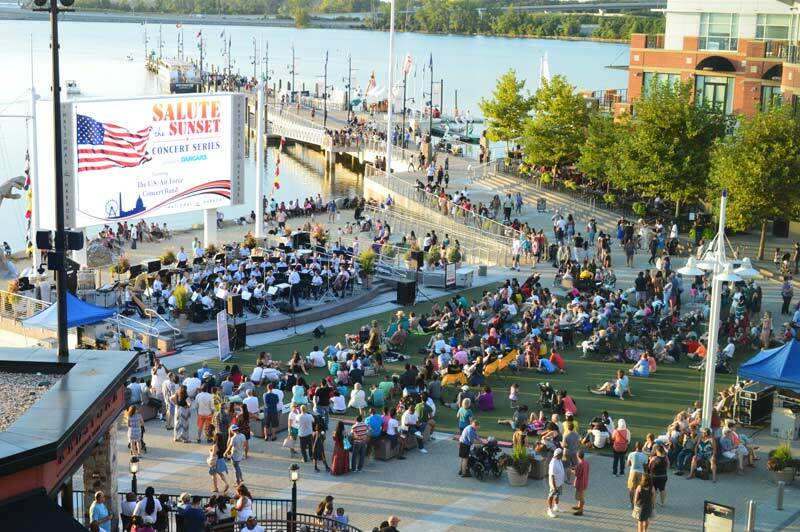 Pack your chairs, grab food to go from one of the delicious dining establishments and head to the waterfront plaza screen for a free evening of fun. 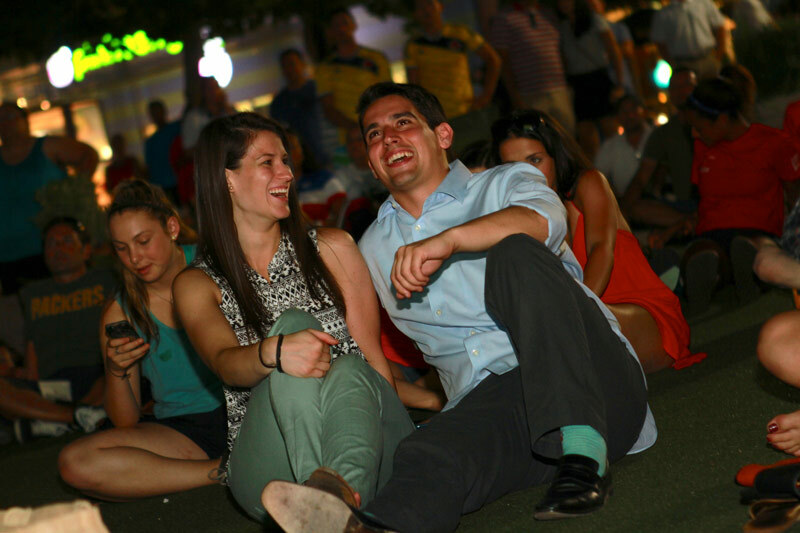 Movies on the Potomac start in May and run until the end of September. Date night movies run Thursdays at 7 p.m., while Sundays feature family favorites at 6 p.m. Major sporting events are also shown on the screen. 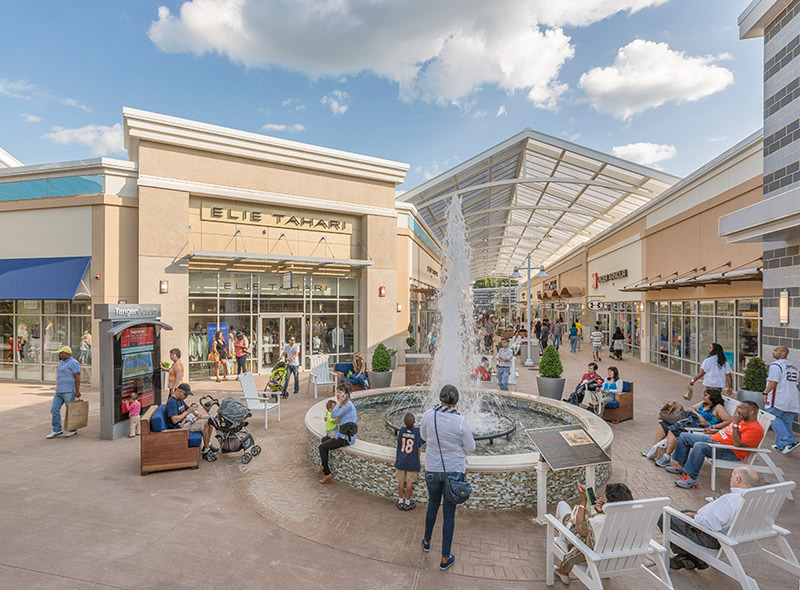 Shop the Tanger Outlets at National Harbor for deals at more than 85 premium, brand name stores including kate spade, Polo, Elie Tahari, Cole Haan, Bass and J. Crew. A Circulator bus picks up throughout National Harbor (only $5 for an all-day pass) and carries shoppers to and from the open-air center, where there’s also plenty of parking. As if there weren’t enough to do at National Harbor, there’s also a whole street dedicated to nightlife and entertainment. There’s Bobby McKey’s Dueling Piano Bar (the only of its kind in the area) and mechanical bull-riding at Cadillac Ranch. You can also grab a bite and watch your favorite sports at Public House and enjoy pub fare and great whiskey at The Irish Whisper. 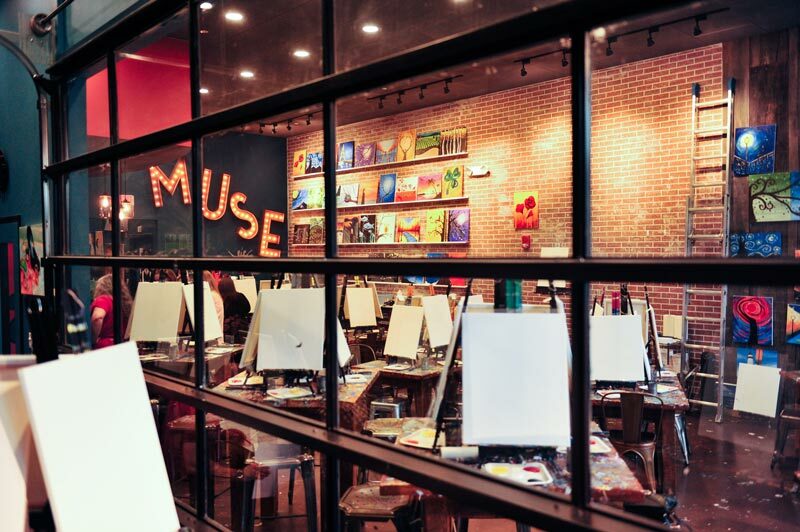 Test your creative and artistic abilities at the extremely popular Muse Paint Bar, where you can learn to paint and actually leave with your own masterpiece. No experience required and all ages are welcome. Just down the street, Build-A-Bear is great for little ones who want to create their own snuggly masterpiece. Select from a large portfolio of services at MGM National Harbor’s Spa & Salon, where you’ll find the ultimate escape in a 27,000-square-foot oasis featuring 11 luxurious appointment spa rooms, a full-service salon, an advanced fitness center and other private amenities. Or, unwind in 20,000 square feet of pure bliss at Gaylord National’s Relâche Spa. In addition to 11 spa rooms, Gaylord’s spa also offers two steam rooms, saunas and whirlpools, a full-service salon, a relaxation lounge with a stunning view of the river and numerous treatment options, including a couples massage in its signature couples suite. Who has time to sleep at National Harbor? When you do, you can choose whatever travel itinerary best fits your lifestyle and your budget, and that includes your hotel. Options include the bustling Gaylord National, the lavish MGM National Harbor and the hip AC Hotel, in addition to Westin, Marriott and Hampton Inn properties. 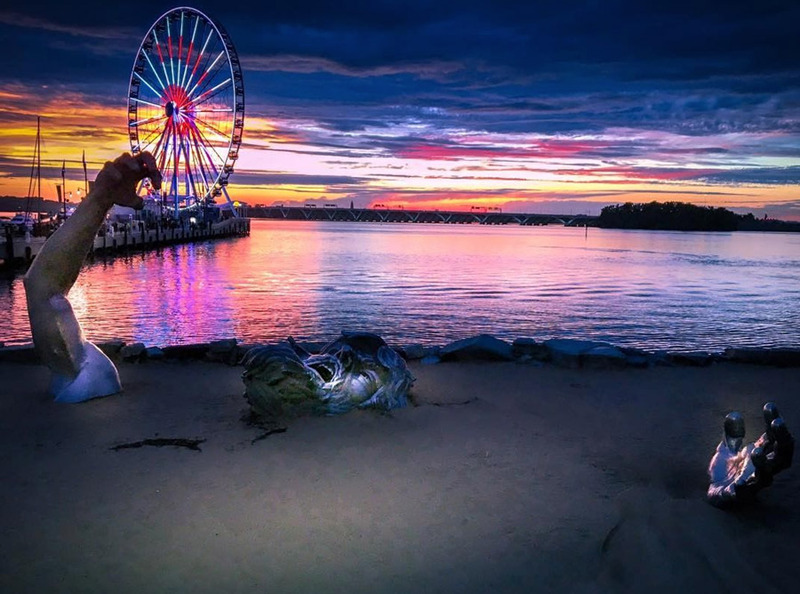 Due to the property’s location on the east side of the Potomac River, National Harbor has been ranked as one of the top places in the U.S. to catch “astounding sunsets.” Grab a glass of wine or craft beer at the Flight Deck under the Capital Wheel and take advantage of these jaw-dropping visuals. Note that many of the Harbor’s restaurants are situated so you can catch great views as well.